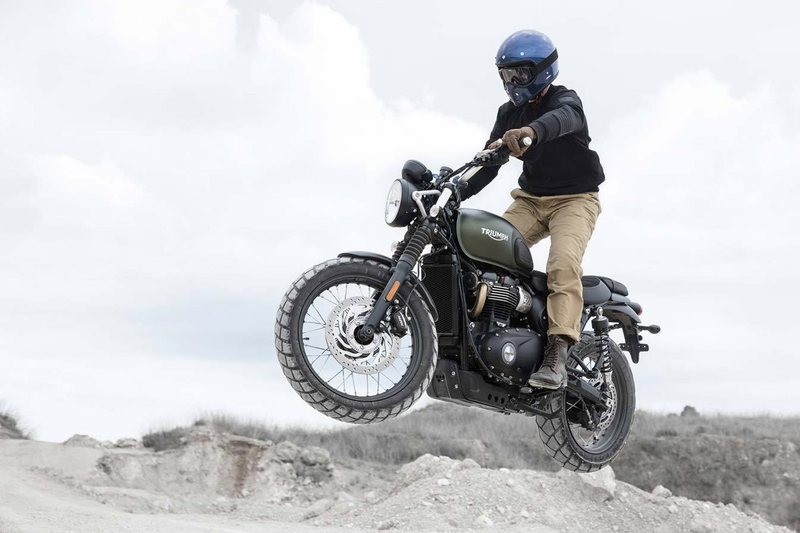 There are times when every motorcyclist considers riding in their regular clothes. It may be due to the weather or their destination, but is it worth the risk? The research department at REV’IT has come up with an intelligent solution. 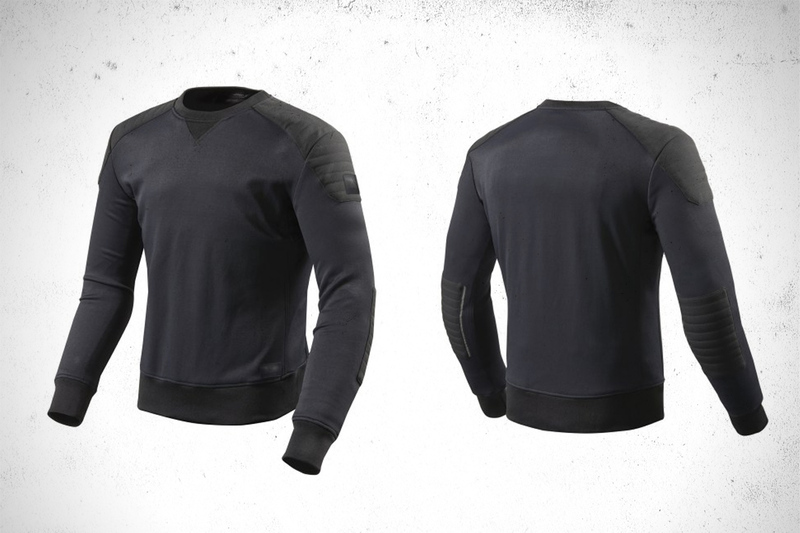 It’s a fabric made from double woven Cordura yarn that’s exceptionally cut, tear and abrasion resistant (yet still stretches) and they’ve used it to make their new Yates Armored Sweatshirt. On the surface, the Yates might look like an ordinary sweatshirt. But it’s not. So, what exactly is it? We’ll tell you. 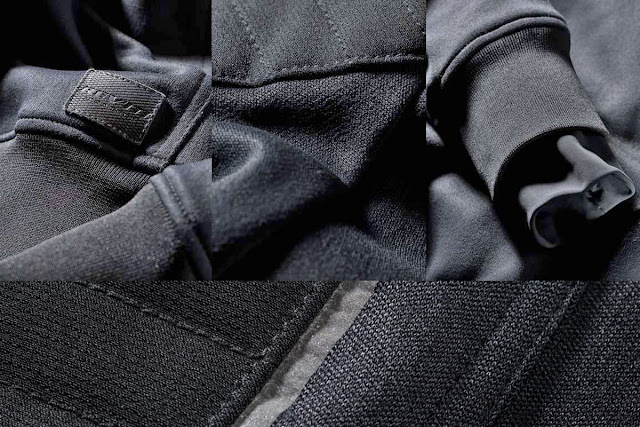 This is one of the most technical, high-performance textile garments you’ve ever laid your eyes on, to date. The Yates looks and wears almost exactly like a standard crewneck sweatshirt, with just a slightly stiffer feel, but this is no ordinary streetwear garment. 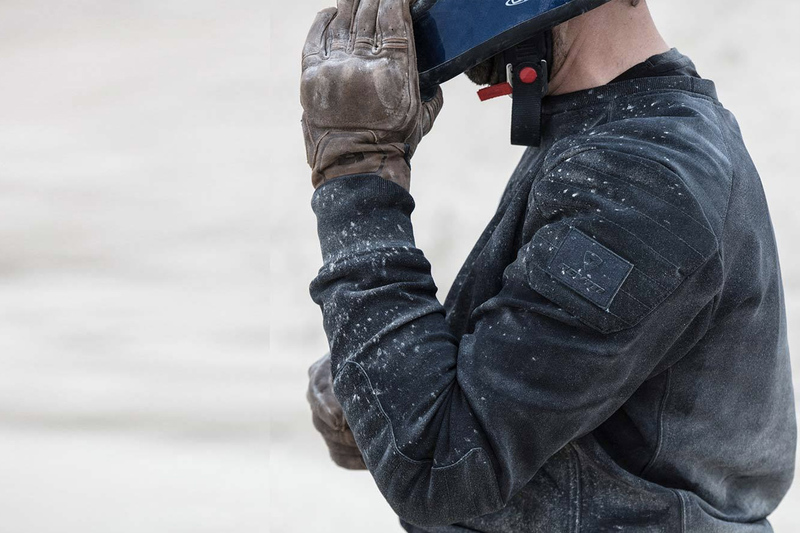 Along with being constructed from abrasion resistant material REV’IT has installed their thermoplastic rubber ‘Seesmart’ protective armor (rated CE Level 1) in the elbows and shoulder. An opening on the shirt back also allows you to add a ‘Seesoft’ back protector plate for extra defense. Speaking of the back, the gap between your shirt and jeans is a known chink in the chainmail, so the Yates comes equipped with a short connecting zipper that attaches sweatshirt to jeans when you pair it with a REV’IT Safeway 2 belt or use the jeans loop to hook in any other belt you already own. For safety beyond crash protection, rider visibility is improved thanks to integrated strips of laminated, reflective material on each elbow. Despite the high tech fabric and its numerous safety features, what you ultimately get with the Rev'it! Yates is a casual looking sweatshirt that will feel equally at home on a bike seat or a stool in a café. The big difference though is that when you need protection this sweatshirt will have you covered.